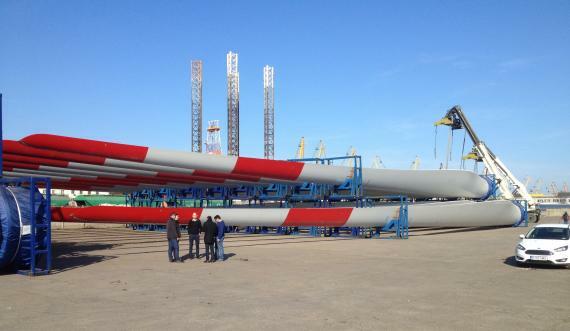 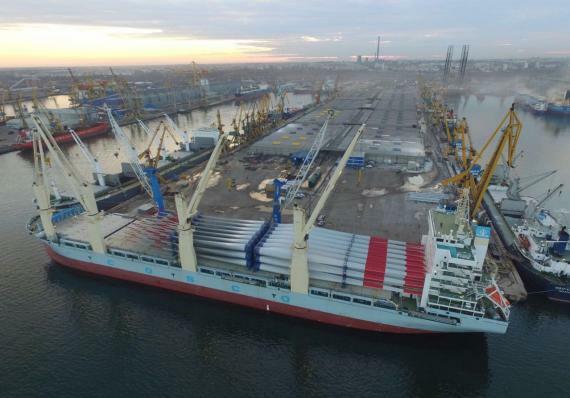 Glogos in Russia have recently delivered the second batch of wind turbines from Shanghai in China to the river port of Ulyanovsk. 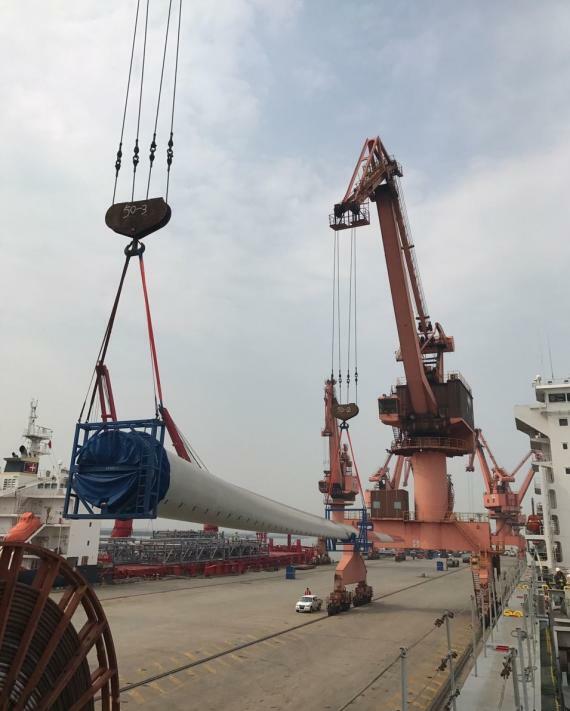 The total cargo volume amounted to 40,000ftns with the length of each blade at 54m and the height of each base at 4.85m. 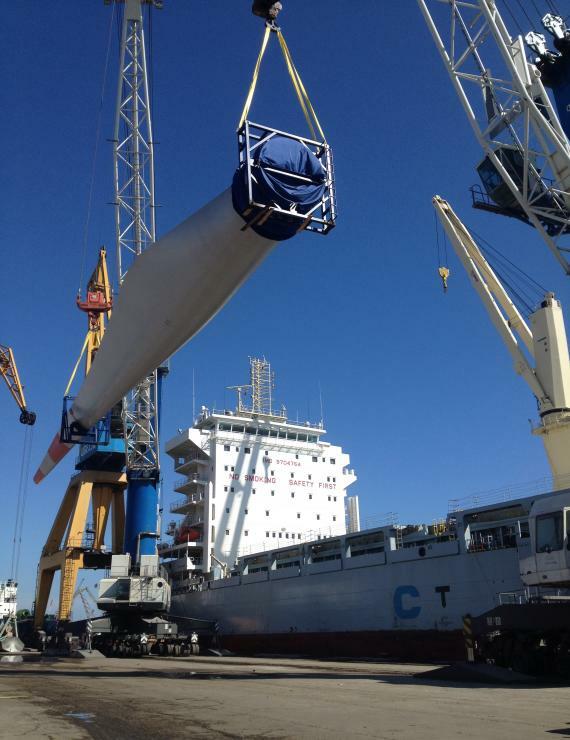 Glogos handled the ocean freight shipping with transshipment to river barges made in the port of Constanta (Romania). 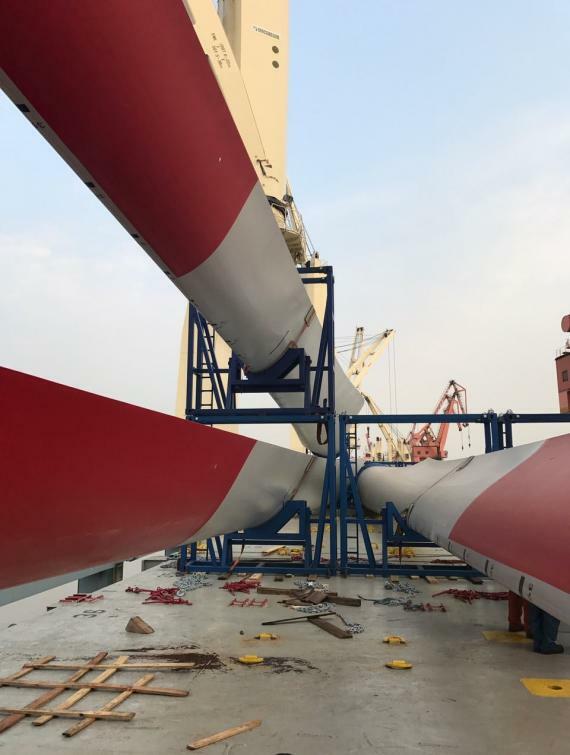 The whole project was performed in two batches - in autumn 2016, the towers of wind turbines were transported and the propellers were delivered during August 2017. 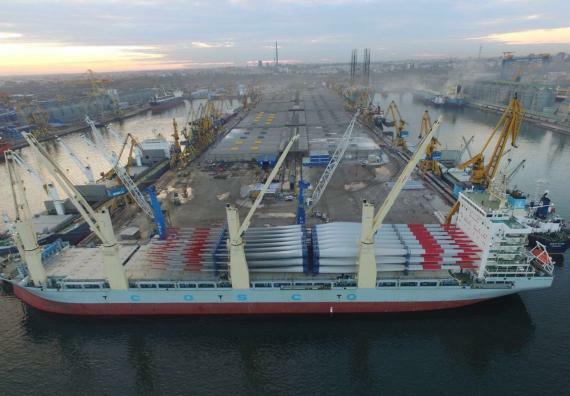 For the 'river-sea' vessels, a reinforcement deck for loading the heavy cargo was specially made. 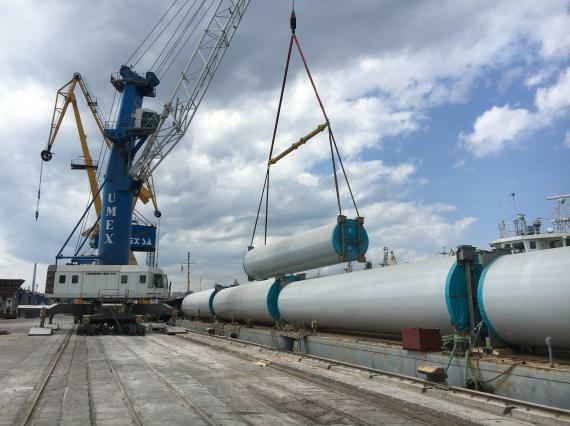 Whilst at the port of Constanta, the Glogos team organised the transshipment of the blades with a three-tiered loading system on barges, the modelling and planning of which was carried out in advance and tested in the port of Shanghai. 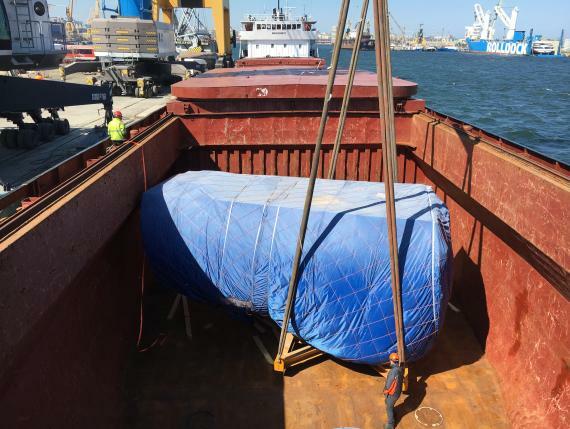 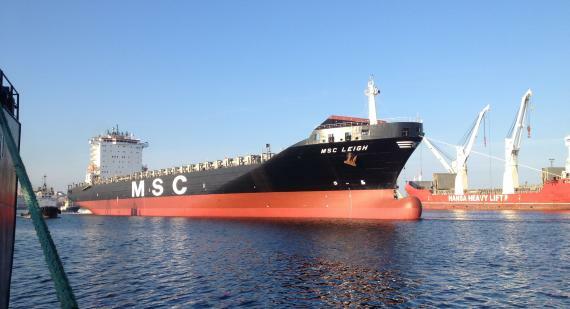 The Project Manager, Maxim Yakovlev comments; "This arrangement allowed us to optimally place the entire cargo on only two barges and save the customer's resources". 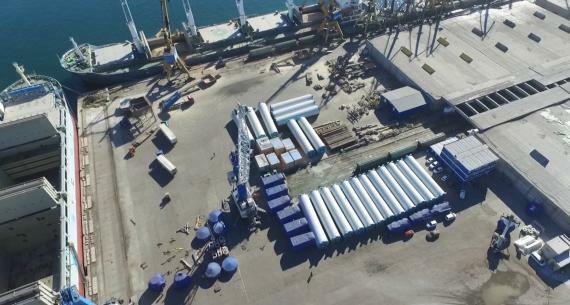 See the gallery below for photos of the project.